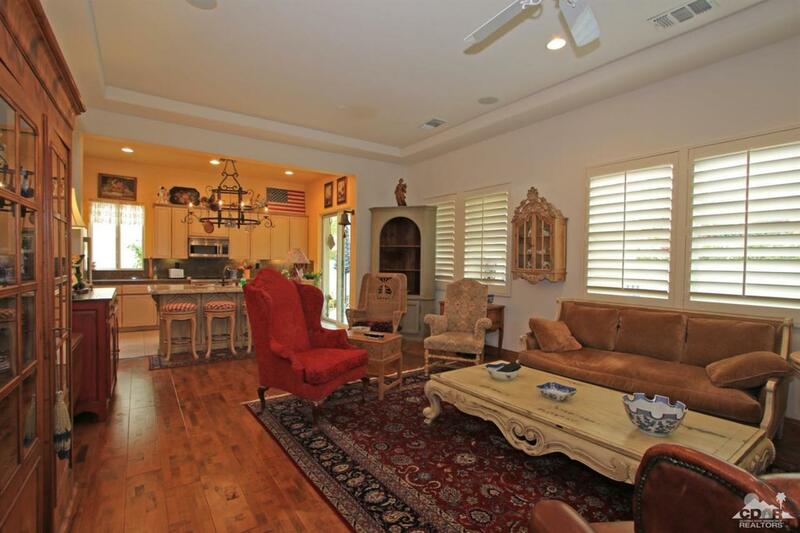 Resort style living can be yours in this beautiful Spanish Colonial home in Puerta Azul. 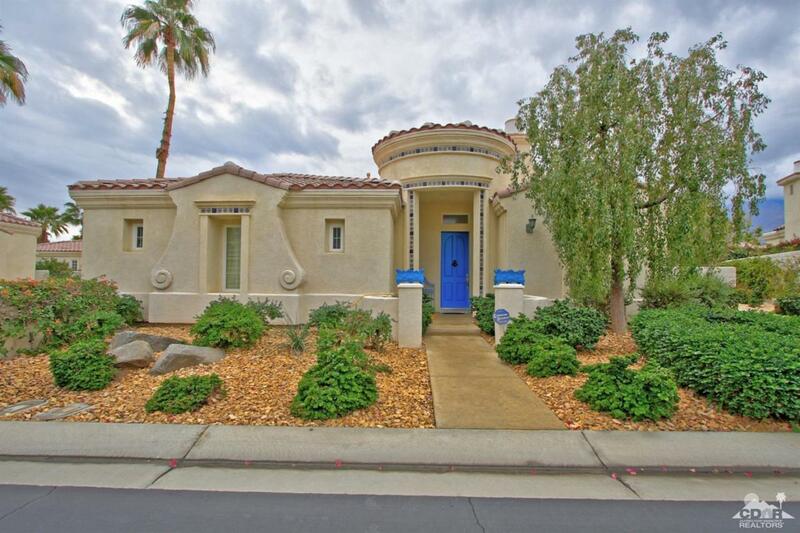 Upgrades abound in this highly desirable Vistosa floor plan with 2 bedrooms, 2 baths plus office/den/3rd bedroom! Great Room with dramatic 10 ft vaulted ceiling, grand stone pass-thru fireplace, hardwood floors, plantation shuttered windows are perfect for entertaining or private enjoyment. Love to cook? Gourmet kitchen includes gas Wolf range, LG French door refrigerator, drawer dishwasher, farm sink, and oversized granite island. Owners suite includes high ceilings, sliding glass doors to wrap-around patio, cedar closet, dual sinks, soaking tub, tile shower, upgraded granite vanities, and accents tiles. Living space extends outdoors with mountain views, built-in stone fireplace and BBQ. 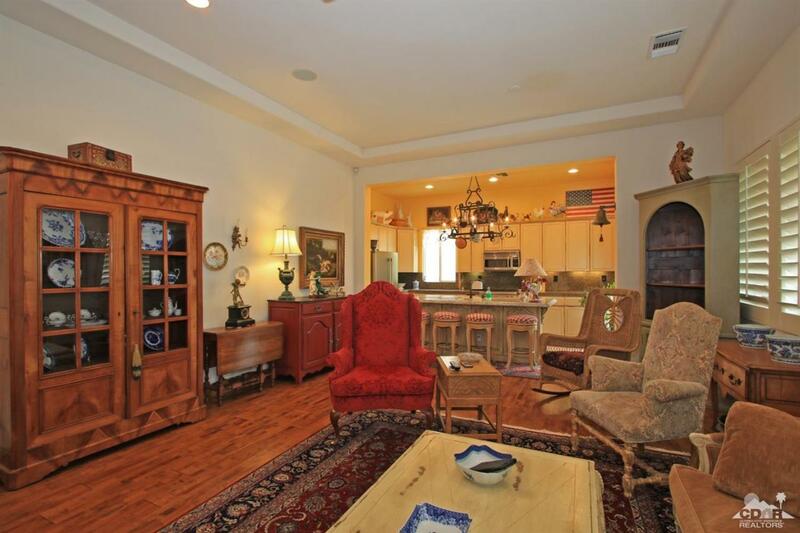 Beautiful community clubhouse, 2 Pools/Spas, fitness center, tennis court, and low $275/mo HOA. Love where you live or lucrative rental. 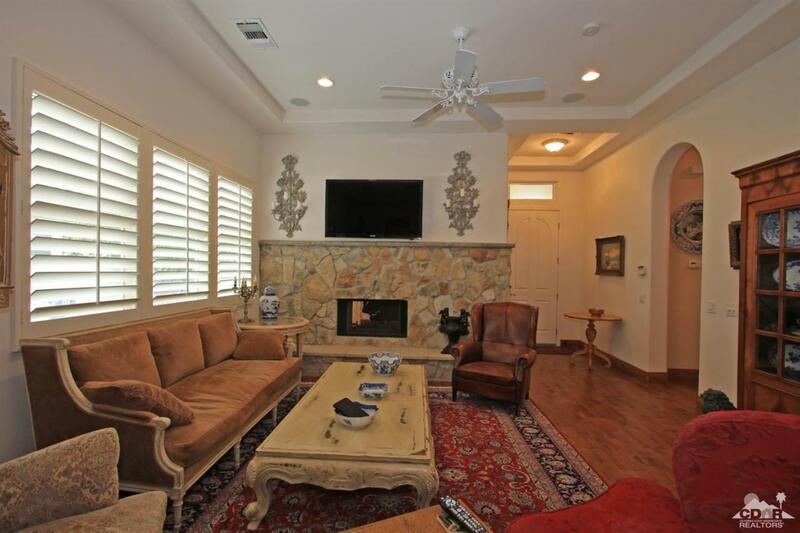 Listing provided courtesy of Randy Diamond of Berkshire Hathaway Homeservices California Properties.